Chiddy Bang, the rap duo currently in possession of a Guinness Book World Record for the longest freestyle rap coming in at nine hours, 15 minutes and 15 seconds, played, alas, a somewhat shorter set at the Stars and Stripes festival held at Nectar’s on Saturday night. The event was a benefit for the YMCA and produced by Neon Gold Records, a record company run by Chilmark summer residents Derek Davies and Lizzy Plapinger. The evening also featured The Knocks, French Horn Rebellion and Savoir Adore. Noah “Xaphoon Jones” Beresin is the beat-making half of Chiddy Bang while Chidera “Chiddy” Anamege handles the rapping. Chiddy seems partial to ascribing the adjective “Swelly” to most things he considers cool. The group formed when they were both freshmen at Drexel University. They began by playing frat houses, corner pubs, some guy’s basement, but didn’t stay down for long. Their single Opposite of Adults vaulted them out of the tapestry and kegerator venues to sold-out arenas in a matter of weeks. 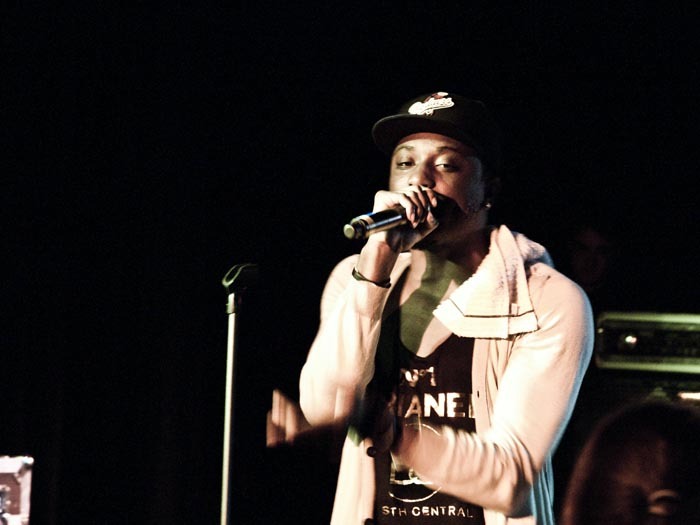 Chiddy hails from New Jersey and cites classic hip-hop like The Fugees, Lauren Hill, and Clipse as inspirations. Noah leans more toward beat-maestro Madlib, and dearly departed wonders like J Dilla and the Clash’s Joe Strummer. Between breaking records, bringing together the disparate worlds of indierock and hip-hop, and maintaining a swelly lifestyle, Chiddy Bang has made a career out of disregarding the status quo. All of this before the group has released a proper album. The debut album tentatively titled Breakfast, will be released in September. From the Gazette archives: a story about James Taylor appearing at a Hootenanny in 1963. The Yard is on a mission to help Vineyarders beat the winter doldrums with dance.